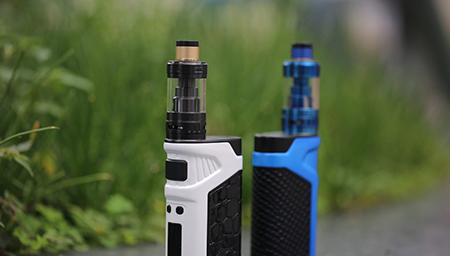 A new study out of the University of Catania, Italy suggests that electronic cigarettes may reverse some of the harm resulting from tobacco smoking in patients with chronic obstructive pulmonary disease (COPD). Click on "Read More" for the full article. Gregory Conley, president of the American Vaping Association (AVA), urges readers to consider "real facts and sound science" and not let misinformation guide the debate about vaping. Click on "Read More" for his opinion piece in USA Today. Tariffs on vapor products won't just cause vapor stores around the country to shutter their doors - they're a threat to public health. Click on "Read More" for the article. The Australian Tobacco Harm Reduction Association (ATHRA) details the way in which the recent flawed study out of the University of California - San Francisco misleads readers with claims that vaping daily will "nearly double the odds of a heart attack". An opinion piece by Guy Bentley for the Washington Examiner urges the FDA proceed with caution in regulating e-cigarettes, because "while industry regulation is vital, control is deadly, and regulating too much can be just as lethal as regulating too little." Please click on "Read More" for the full article. Researchers took a closer look at data generated by the FDA-funded Population Assessment of Tobacco and Health (PATH) to ascertain the efficacy of e-cigarettes as smoking cessation aids. They found that e-cigarettes are "a more popular choice than approved pharmaceutical products as a smoking cessation aid among US quit attempters, over three quarters of whom were daily smokers." Please click on "Read More" for the rest. 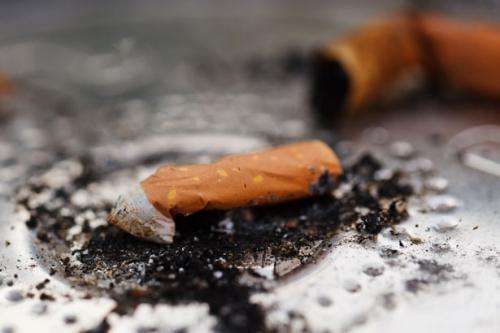 Gallup recently announced that American smoking rates have hit an a record low of 16 percent. Evidence suggests that e-cigarettes deserve some of the credit. Please click on "Read More" for the article. The number of vapers are falling in America, shock new data has revealed, proving its portrayal as a menacing new epidemic by government and anti-tobacco interest groups has been worryingly effective. Please click on "Read More" for the rest of the article. A new peer-reviewed study published in the prestigious journal Nicotine & Tobacco Research shows that exhaled e-vapour product particles are actually liquid droplets that evaporate within seconds. The American Cancer Society (ACA) has released a second statement, tentatively encouraging the use of e-cigarettes over combustible tobacco. Please click on "Read more" for the rest of this story. It has been reported that the FDA was recently flooded by an "unprecedented" 255,000 fake comments urging it to ban flavored e-liquids. To read more about this story, please click on "Read More". This month, THR Rendez-vous interviewed tobacco control advocate David Sweanor on a number of topics, including tobacco harm reduction and this year's Global Forum on Nicotine. THR Rendez-vous, an online blog, has hosted "cyberinterviews with 180 tobacco control advocates from all over the world" since 1999. Please click on "Read More" for the interview. Dr Konstantinos Farsalinos has produced another study in conjunction with colleague at the Onassis Cardiac Surgery Centre. This one compares the emissions from an IQOS heated tobacco product with the vape from an ecigarette and smoke from tobacco. While vaping is much safer than both, he has words of caution for subohmers. A new study by the University of Anglia published today sheds light on how vaping helps people stop smoking - even when they don't want to.